Now, Mars in 9th house. 9th house represents Religion, Law, Faith, Fortune, Gurus, Teachings of Father (as father is 1st Guru we get) etc. So, now the Mars energy comes in 9th house of religion. These people are adamant about their religious beliefs. They can become those fundamentalists who can do anything for their religious faith. They also have a different point of view for their religious beliefs and they discard the teachings of their Guru and like to make their own rules. At the same time, they can be very dominating in matters of higher education and will treat education with war-like mentality. 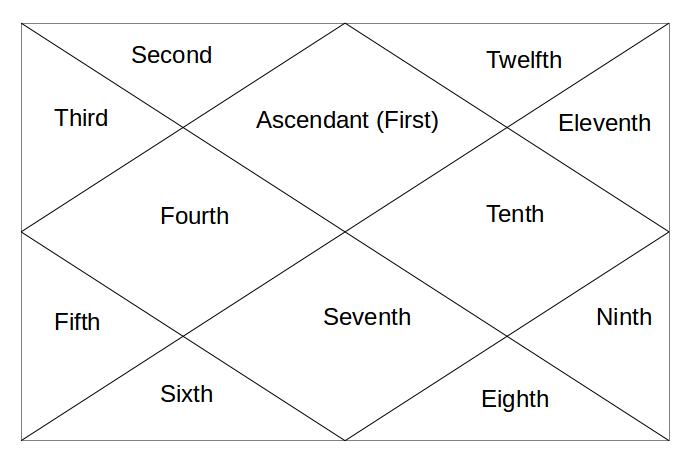 Mars 4th aspect goes to 12th house and they become dominating with their Spiritual Values. They also become spendthrift at times. Mars next aspect goes to 3rd house of Self-Effort and Business and they are dominating about their business efforts. .
Mars next aspect goes to 4th house of Mother and Home. This creates a fluctuating relation with mother or home, of ups and downs. Next - Mars in 10th house.